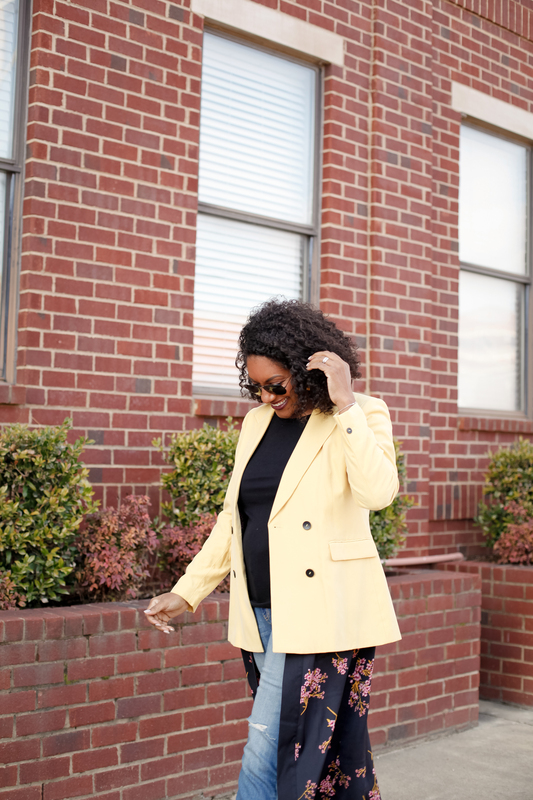 The final way I styled this yellow blazer was my favorite way: casual with a little twist. See the other two ways here and here. This day was one of those Sprinter days (the ones we’ve had recently when it is Spring on the calendar but Winter in the air), and I refused to wear a full coat. 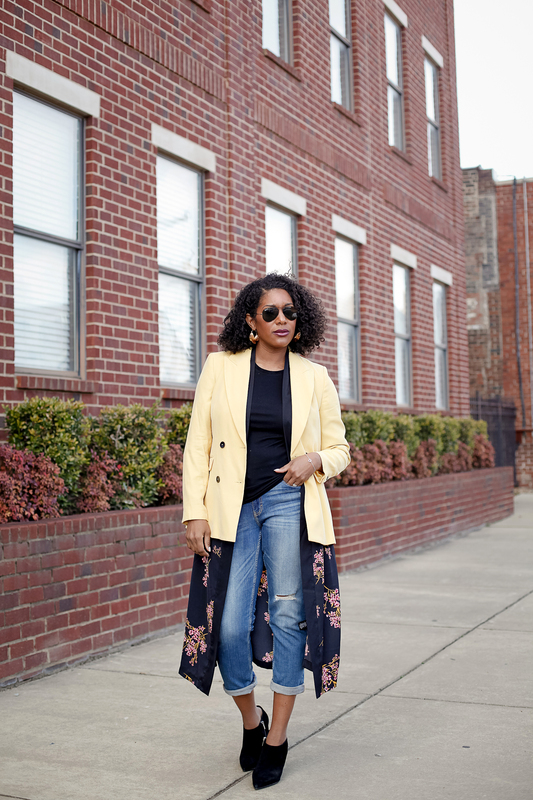 I didn’t have a lot of time to pull an outfit together so I went with my usual go-to: jeans, tee, and kimono. But, I thought, I want to do something a little more interesting. And then I remembered a photo of one of my favorite style sisters Kèla Walker (here), and thought YES! 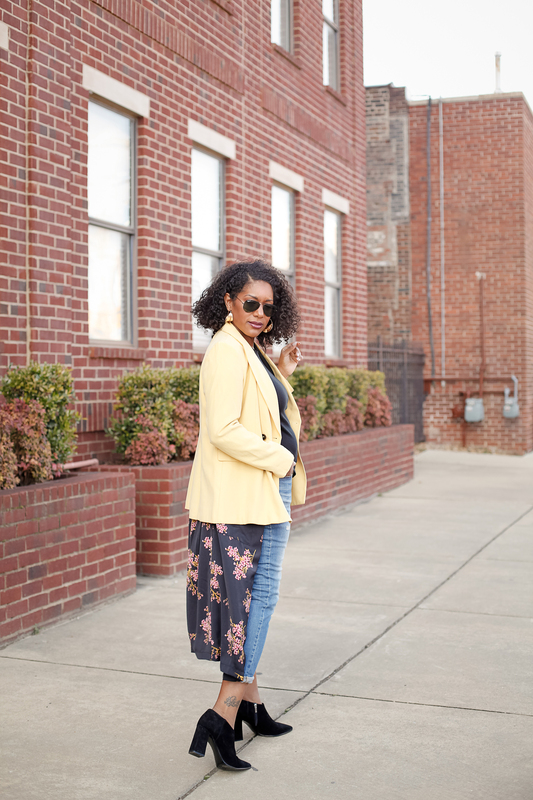 I’m totally going to grab this yellow blazer and layer it over this kimono and BOOM!! She reaaaady! Accessories were kept minimal (gold tribal hoops and black booties) because the layering was strong enough to stand alone. This was really out of my comfort zone, but I loved how it turned out. 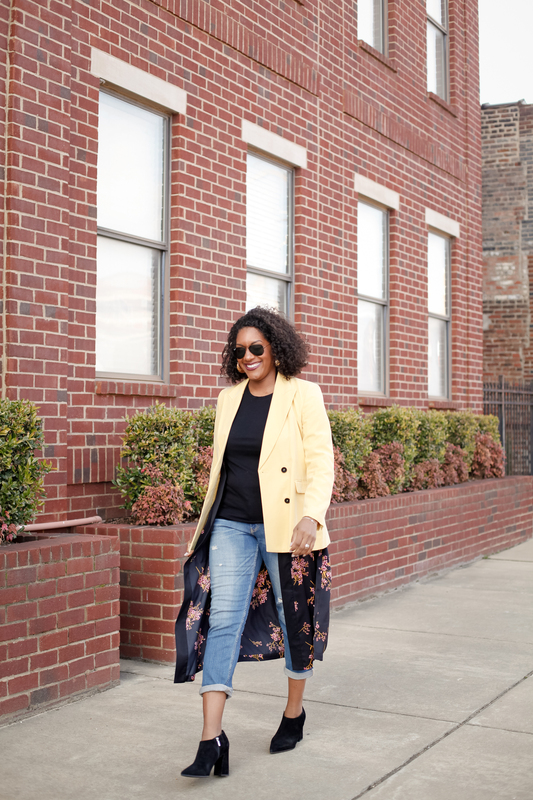 The look is perfect for a casual dinner with the girls, any artsy event, or when you simply want to make a Saturday full of errands interesting. Of course, since we skipped spring and went right into summer, you can put this one in the rolodex for fall. What do you think? 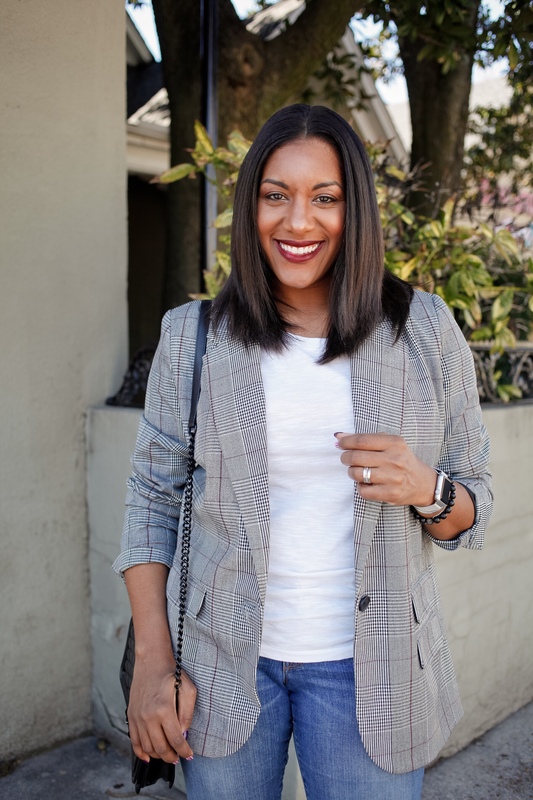 Would you ever try a blazer layered? According to Q, don’t be afraid to add a layer!! 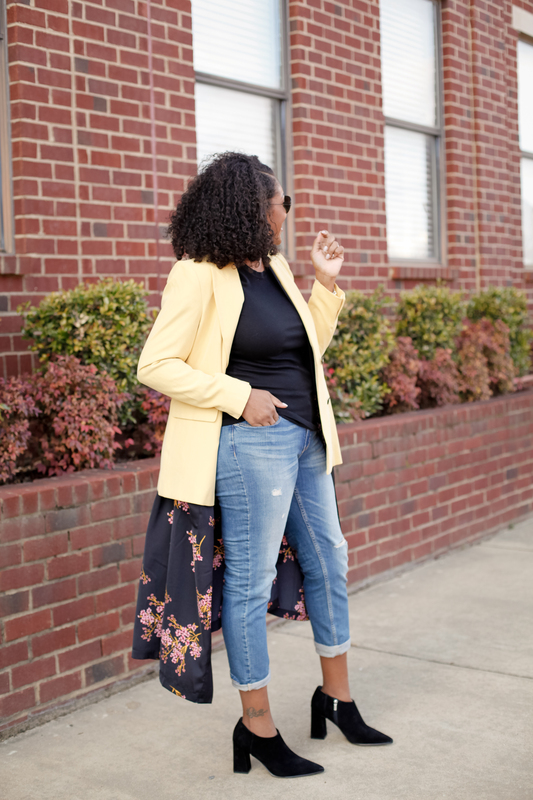 This yellow blazer was the perfect top layer to add interest to my basic kimono outfit. 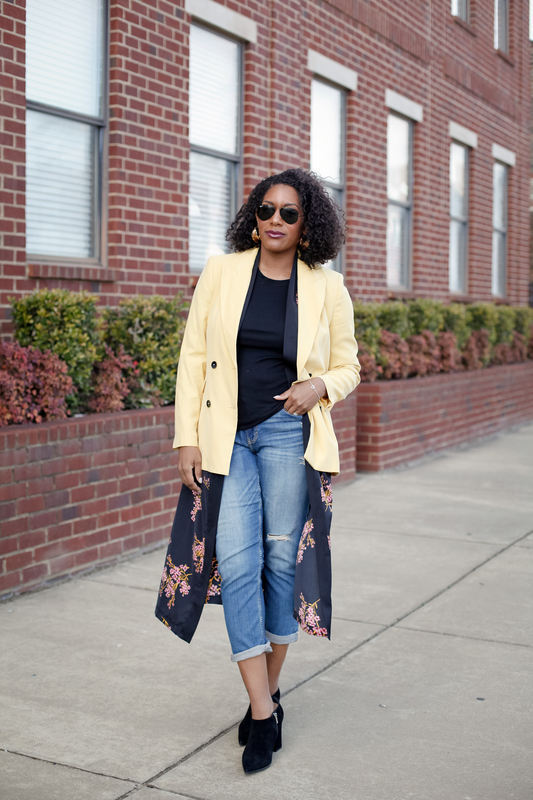 The print in the the kimono made it easy to pair the blazer. I’m definitely going to try this one again! 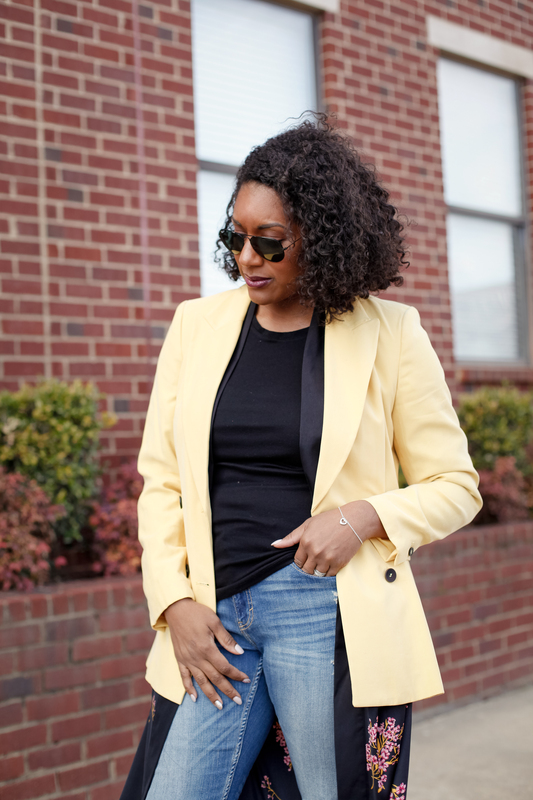 Cheers to busting out of comfort zones and layering that just works!